As the founder of a SaaS startup, you have a lot on your plate. You have a product to develop, marketing strategy to coordinate, and customers to please––you don’t have time to spend precious hours of your day chasing down invoices or organizing receipts. 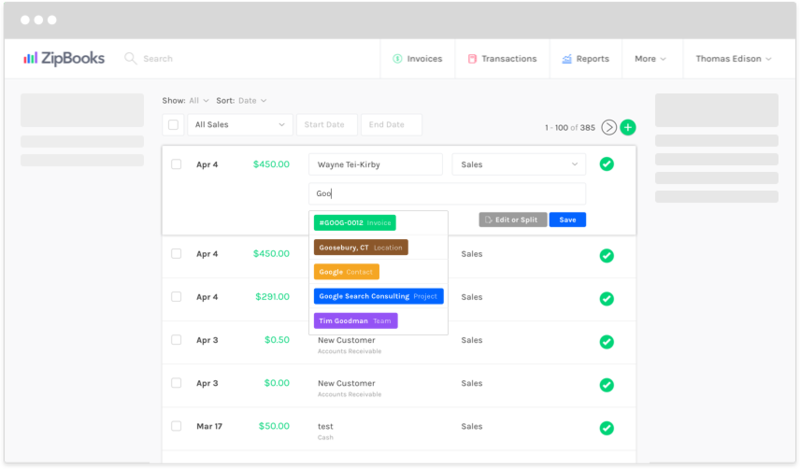 Fortunately, we created ZipBooks to be an all-in-one accounting solution for busy SaaS companies like yours. Long gone are the days of leaving your office space at 10 pm just to spend another 4 hours on your couch at home with a cup of coffee in one hand and a spreadsheet in the other. With our free SaaS accounting software, you can quickly check the balance of your business’ bank account, invoice customers, and get paid faster, which means you can stop stressing over balance sheets and get back to doing what you do best—creating innovative software solutions. Being a SaaS startup means you don’t have a lot of extra cash on hand, so you need to be sure you know where every penny is going at every second of the day. 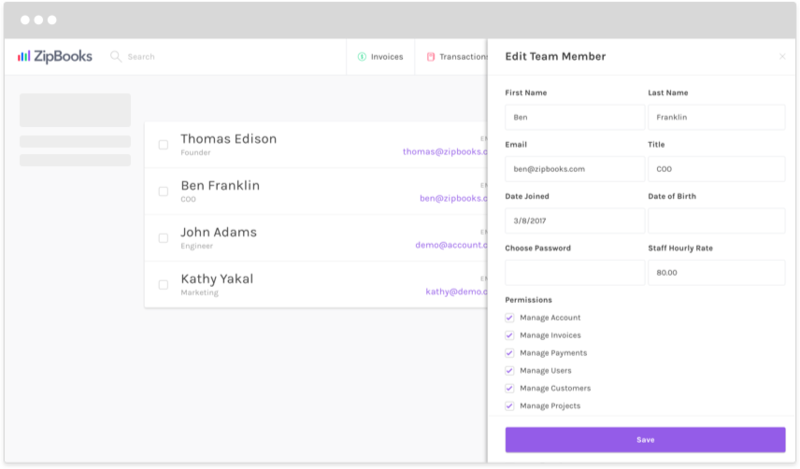 At ZipBooks, we designed our SaaS accounting software to be 100% cloud-based, so you can check in on your account balances or send an invoice from anywhere you have an internet connection, whether that’s in the office or on-the-go. Don’t have time to for all of your startup’s financial needs? Let ZipBooks provide you your payroll, tax prep, and bookkeeping services so you can handle the rest. Running a successful startup can be expensive. Fortunately, your accounting software doesn’t need to be. 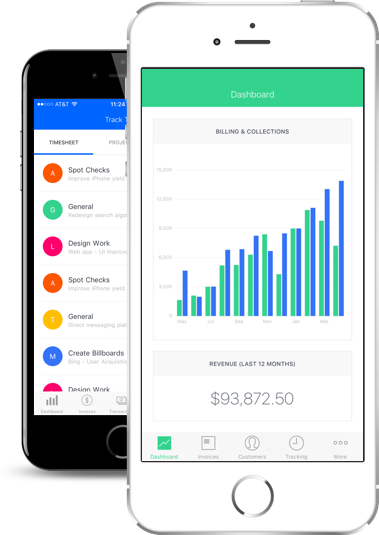 Our free app lets you create and send customized invoices, integrate your bank account, and create intuitive spending reports as much as you need to, at no cost. 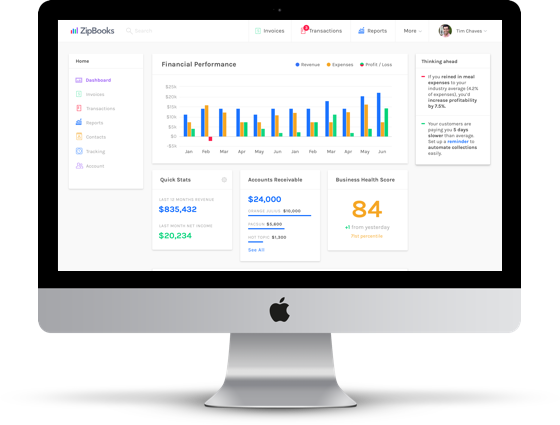 Plus, ZipBooks makes paying business taxes easy with easy-to-read income statements customized for each quarter so you won’t have to panic come April 15. 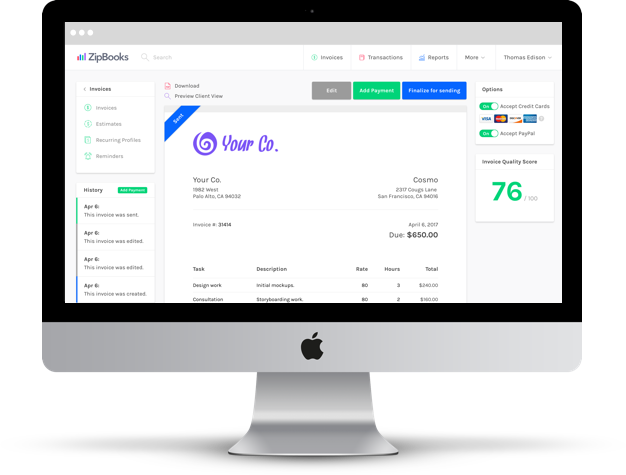 Unlike QuickBooks, ZipBooks was specifically designed for the cloud, not as an afterthought—which means you can create and send invoices from any device, and store and generate your accounting reports all online. It will prevent of clutter and paperwork at the office. Landed a new customer? Quickly fill out a template-made invoice customized to your startup’s branding and send a digital copy to your customer in seconds. 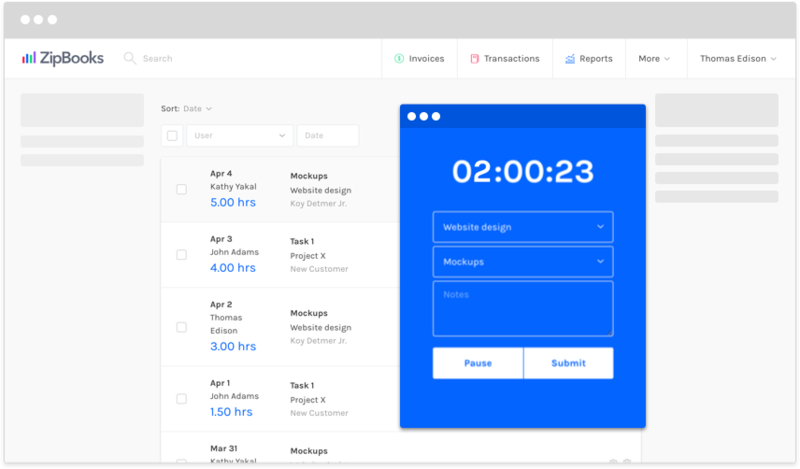 And when it’s time to bill the customer for your software, enable credit card payment on any invoice for fast, convenient payment, meaning you get paid faster than you can say “free Quickbooks alternative.” Oh, did we mention ZipBooks is free? Stop dealing with paper invoices and balance sheets that only clutter up your office. Our free phone and desktop app helps keep your startup paperless, and all of your personal data is secured with 256-bit SSL encryption. We know that when it comes to running your SaaS startup, every dollar counts. With ZipBooks you can quickly send digital invoices and get advanced payments the second you hit Send. Need to accept payments, too? 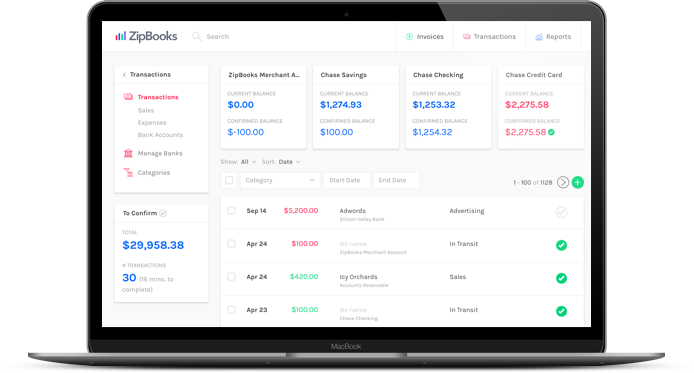 ZipBooks works with credit cards, PayPal, and Stripe. 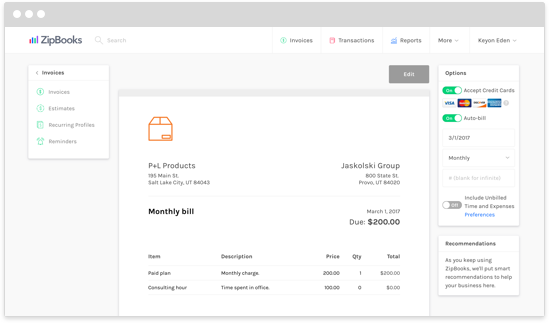 ZipBooks doesn’t charge a subscription fee and you won’t be surprised by any hidden fees either––our digital invoicing, financial reporting, and account management features are yours to use as much as you need to at no cost.